Caterham is crossing the pond to one of the USA’s most famous circuits, Laguna Seca, for the inaugural Caterham Challenge Cup (CCC), 1st – 2nd December 2018. 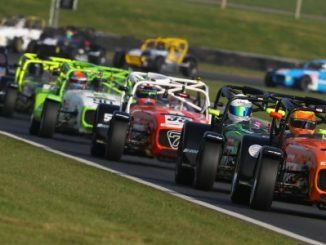 New to Caterham this year, the one-off race weekend is being billed as the ultimate climax to the Caterham Motorsport racing calendar. The celebrated British car brand is blazing a trail with this announcement, proudly becoming the first manufacturer to offer drivers from a club championship in the UK the chance to compete in an exclusive event on American soil. As such, Caterham will have drivers’ cars packed and transported over to America for the racing extravaganza as entrants go wheel-to-wheel against friends and foes from the Caterham racing fraternity.